A new proposal from Inmar for the boat owners, a practical and useful tool to document boat engines’ and generators’ status. When selling a boat, the status of engines and generators is certainly an important element in defining its value. Both as buyer and seller, the owner takes advantage of having an instrument that shows the chronology of the interventions carried out. 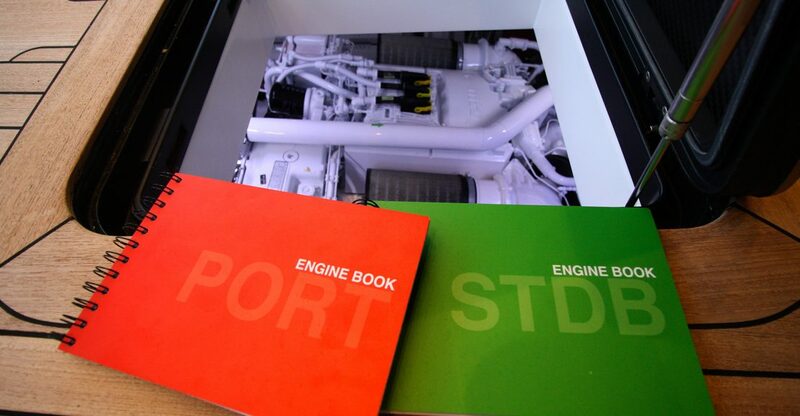 For this reason Inmar propose to his customers an ENGINE BOOK made of a couple of notebooks, red for the left side of the boat and green for the right side, each one divided in two separate parts, one side for the engine and the other side for the generator, where you can write down all the technical and mantainance works. A simple but very useful tool that should never be missing on board!